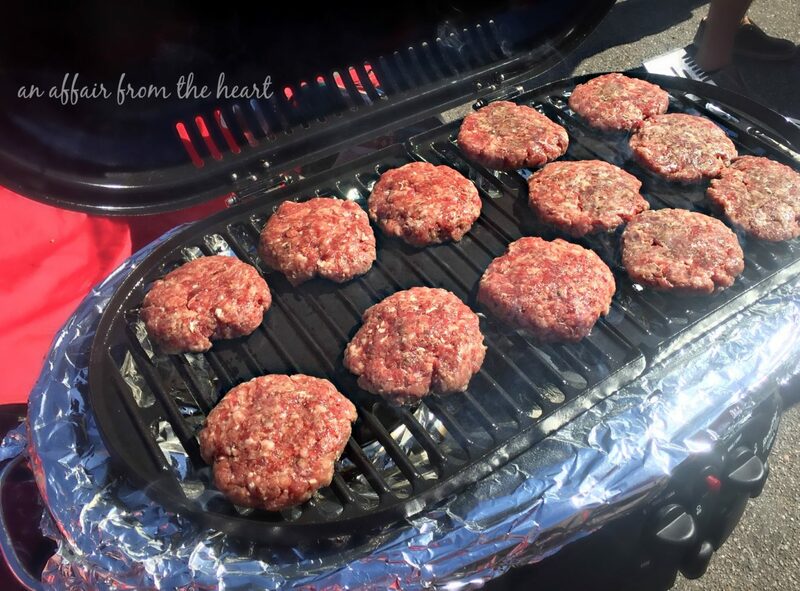 Perfectly seasoned, flavorful brat burgers — looks like a burger, tastes like a bratwurst! Top it with a mound of sauerkraut, and grab yourself a cold one. Perfect for Oktoberfest, tailgating, or just any ‘ol time! This post is sponsored by Frank’s Sauerkraut. All thoughts and opinions are my own. Thank you for continuing to support the brands that make An Affair from the Heart possible. Once a season, there is that one football game that is considered the big game. That game was last Saturday for us. We haven’t played the Oregon Ducks in quite a while, and they came to town and boy! Was THAT a fun game!! 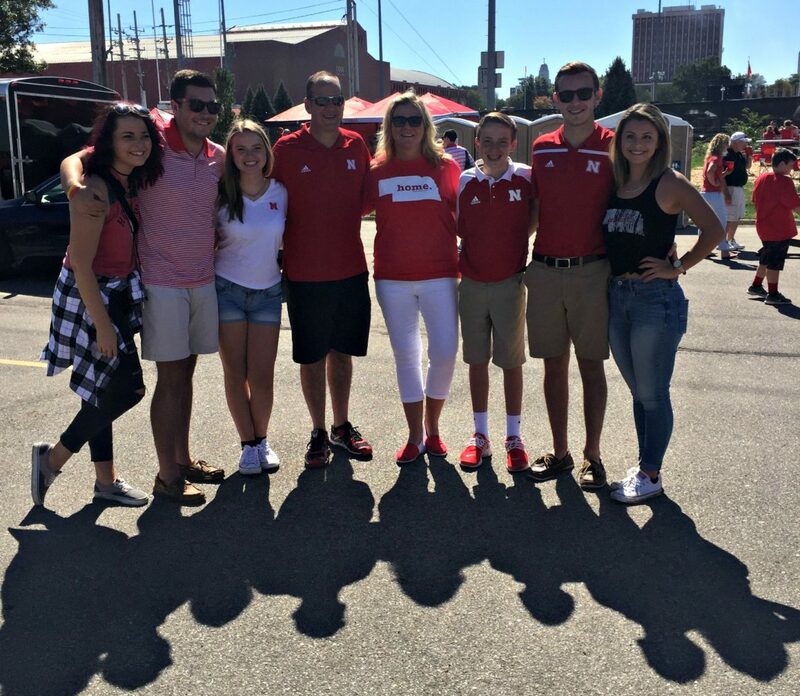 We had a big tailgate party before the game, and since it was also the first day of Oktoberfest — we used that as our theme! Sure, we could have grilled up some brats, and everyone would have been just content as can be, but I wanted to switch it up! So, laying in bed one morning, planning my menu in my head, I thought, what if we combined the idea of burgers and brats and made something completely fabulous?? then … the Brat Burger was born! I combined equal parts of lean ground beef, and bratwurst meat, added some German spices and bread crumbs, we hand pattied them, and grilled them up. Best part? Topping it with a big ‘ol mound of Frank’s Sauerkraut! Check out these super convenient single serving packs!! I heard one of the Frat boys call them “Kraut Shots …” Ha! We grilled up almost 30 of them, and had all of the fixin’s anyone could want for their burger/bratwurst. These will be made again and again, I assure you. 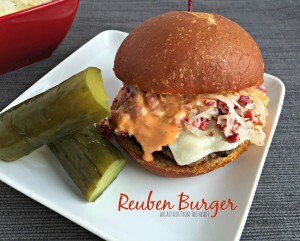 Perfectly seasoned, flavorful brat burgers --- looks like a burger, tastes like a bratwurst! Top it with a mound of sauerkraut, and grab yourself a cold one. 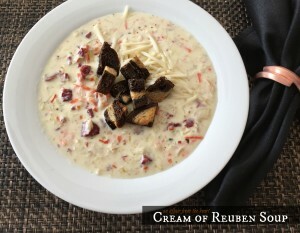 Perfect for Oktoberfest, tailgating, or just any 'ol time! Using your hands, combine all of the ingredients together. Form into patties and grill until cooked in the center. Top with Frank's Kraut and other toppings of your choice. 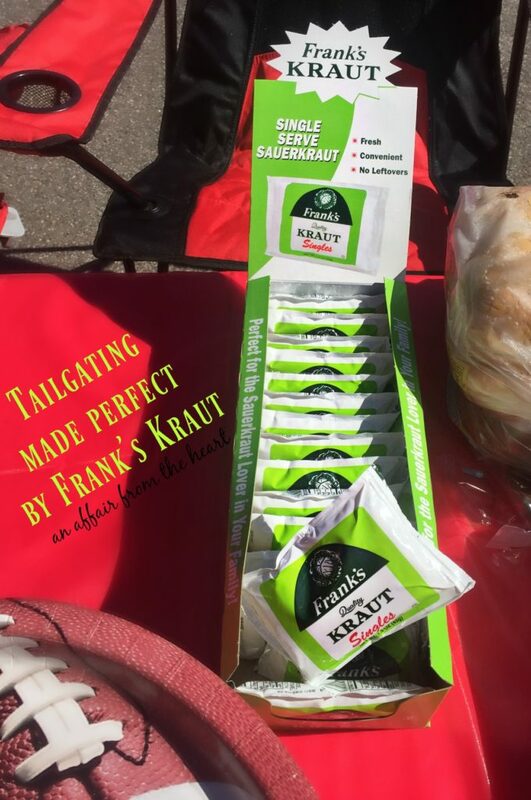 Take some time to visit Frank’s Kraut, find out where to buy the best sauerkraut on the planet, and read about the wonderful benefits of adding it to your diet. Follow them on Facebook, Instagram, Pinterest and Twitter to score all kinds of great recipes! 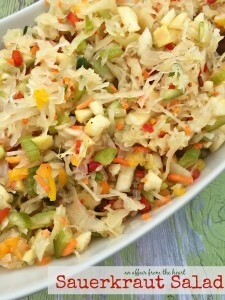 Or see ALL of my Sauerkraut Recipes! Oh, In case you were wondering, we beat the ducks that day — and the party was HUGE! I love sauerkraut and John doesn’t so these individual servings are perfect for us. 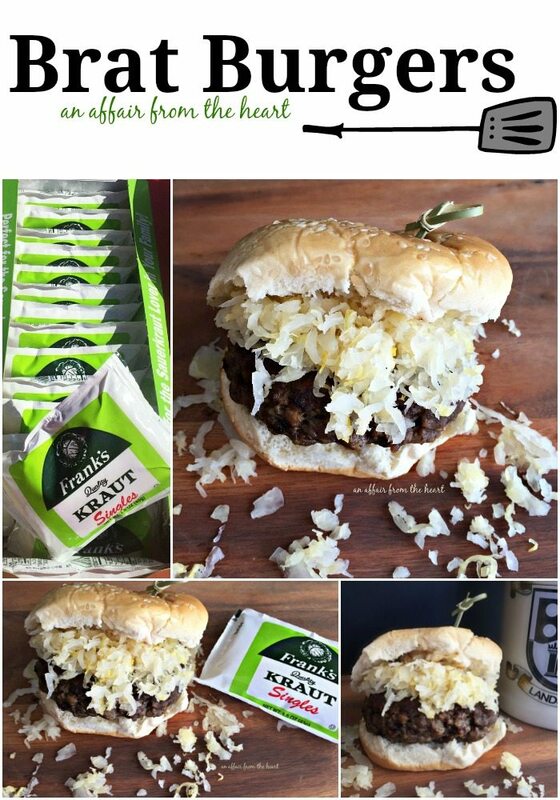 Brat burgers and a genius idea! What a WONDERFUL idea! I am so trying this one! My hubby is going to LOVE it! I need those single serve packs!!! I love sauerkraut but my family doesn’t so when I buy it, inevitably some of it gets wasted because no one will eat it but me. If I could find those, I would be so happy! What a fun recipe! And i’m the only one in my house who loves sauerkraut, so those individual servings are genius! I love these! I love the brats and I love burgers, so when we grill burgers and brats I’m always conflicted about which one to have. This brat burger is the best of both worlds!! 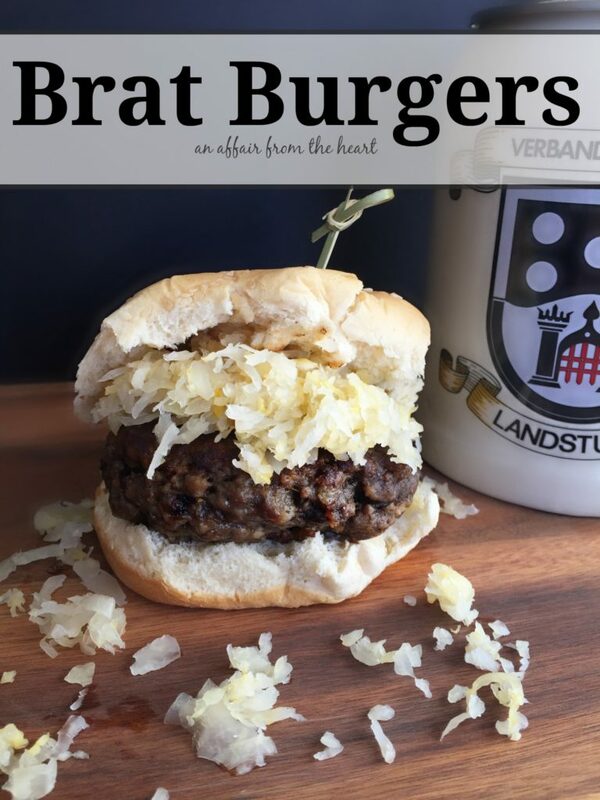 Brats and Kraut are the perfect combination and to have it in a burger is the bomb!!!! What a great twist! 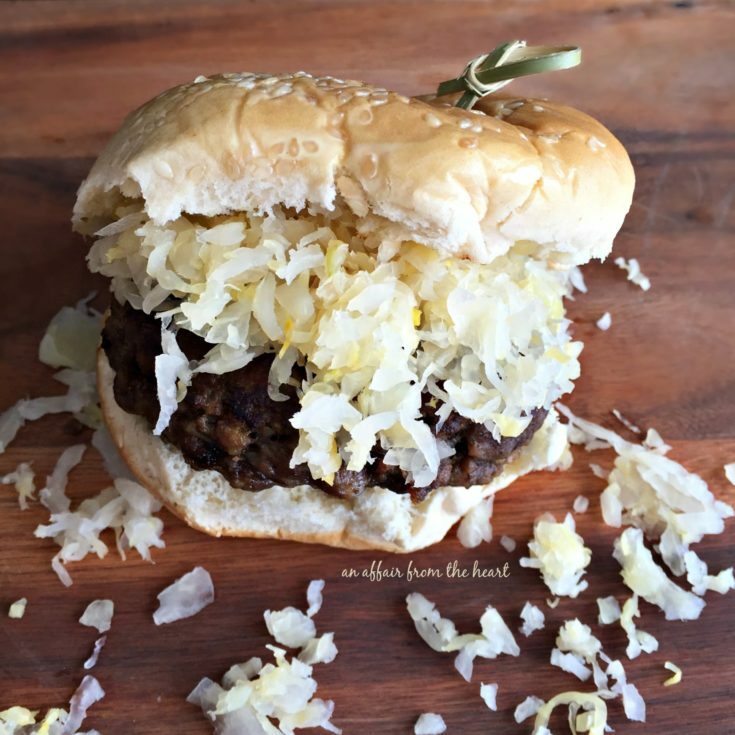 Brat Burgers WITH Sauerkraut sounds so good!! 😀 I love the serving sized kraut packets! It’s perfect game day food! 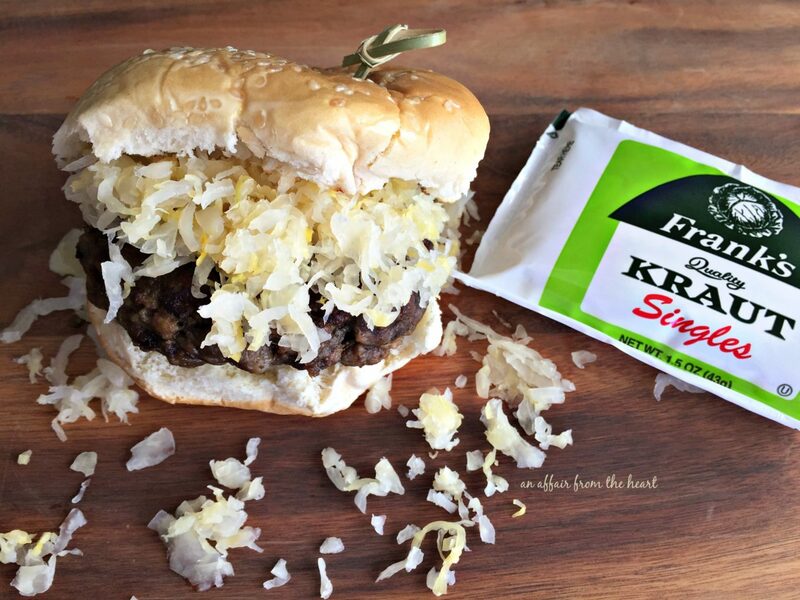 This Brat Burger is a wonderful combination of flavors and how cool are Frank’s Kraut packages! Super convenient to grab and pack up with tailgating supplies! Ok this burger looks killer good!! And I need to find those awesome single serve pkgs of kraut! That is genius!!! 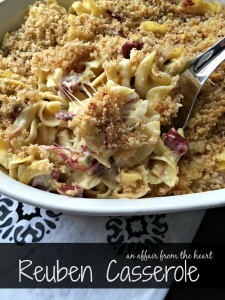 Such an easy recipe, but an amazing flavor! My family loved these, thanks so much for sharing! Happy you liked them! It’s one of our favorites, too!